The Suzuki Grand Vitara models are small SUVs that impressively bridge the often mutually exclusive car attributes of on-road comfort and off-road ability. The Vitara, although not as polished or refined as many compact SUVs, boasts a rough-and-tumble character that has continued to endear it to those who like to escape the urban bustle and enjoy great outdoors driving adventures. 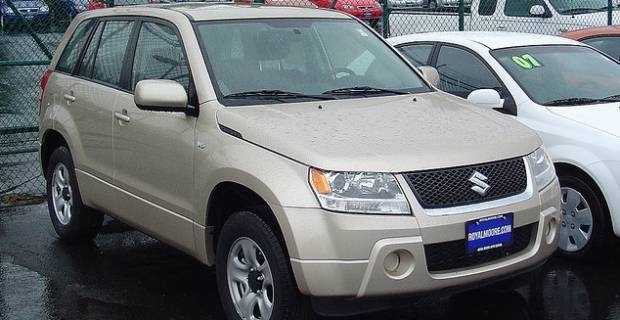 The first generation of the Grand Vitara featured a low-range gearing system, V6 power and van-like chassis. The current model has seating for five passengers and resembles the original Vitara in many ways, but with a sleek chassis design that blends the van-like design with the new sports car chassis design. Suzuki Grand Vitara models are powered by a 2.4-liter inline four-cylinder that produces 162 pound-feet of torque and 166 horsepower. The 2012 Suzuki Grand Vitara is available in four styles: Base, Premium, Ultimate Adventure and Limited edition. All styles are equipped with a host of impressive features, such as full power accessories, automatic climate control, side curtain airbags and removable Garmin navigation units. The Base and Standard Vitara models come with a standard five-speed manual transmission while all the other models feature a four-speed automatic transmission. The premium Vitara model is available in four-wheel drive with low-range gearing. Limited Vitara models come with premium sound system, keyless ignition, luxurious leather seating and a four-mode 4WD system that consists of 4H, 4H Lock, 4L Lock and N drive. The Ultimate Adventure model is packed with extra items that come in useful in the wilderness like heated front seats, water resistant upholstery and fog lights. The Suzuki Grand Vitara offers those looking for reliability and above average on-road and off-road ability great handling and body rigidity. The European New Car Assessment Programme awarded the Grand Vitara four star NCAP adult occupancy protection rating out of a possible five stars. Falling within the price bracket of £15,995 and £23,275, the Vitara has attractive prices and gives good value for money.